I think this is probably the last week that I can get away with using my new Santa mug, so whilst I was still in the festive spirit I wanted to share with you the lovely handmade cards that I received from my friends this year. 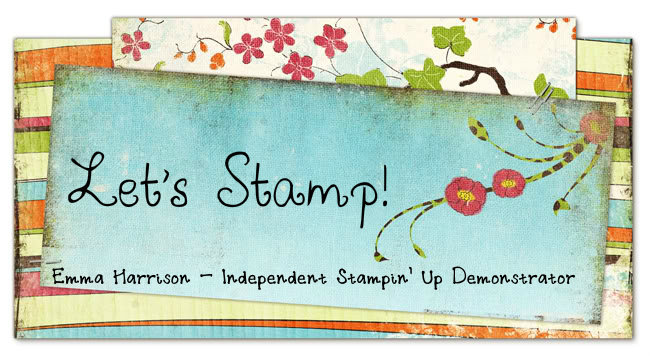 Notice how they all use Stampin' Up! products! Thank you all! I also wanted to share with you these cute little table favours that we had on our table on Christmas day. The children all had the Santa pillow boxes with a couple of Quality Street inside them. The cute birdhouses are made using the mini milk carton Big Shot die. This is such a versatile die and perfect for putting a quick gift together. Right, that's it for Christmas cards but as I am still scrapbooking my Christmas photos I will be back with some layouts later next week.